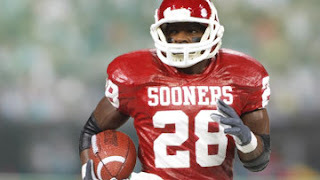 McFarlane Toys has worked through The Collegiate Licensing Company, an IMG company, to license its 2009 College Football line, which includes 6-inch scale figures of six pro football superstars in their school's home uniform. This new exciting product from McFarlane Toys is now in stores. To find a retailer near you, check out our Where to Buy section. To see more football action figures available now, click here.